Seeing, hearing, reading, and feeling the new grassroots ferment among progressive Americans for a single-payer health care system, my gut reaction is: I get it. As newly documented in Elizabeth Rosenthal’s book, An American Sickness,1 and the Commonwealth Fund’s report, Mirror, Mirror 2017,2 our health care system provides shockingly poor value and outcomes, and rests on a foundation of greed. It deserves fundamental change. So why not start all over with single payer or Medicare for all? Before answering, let’s consider 4 critical questions. Question 1: What have we learned from prior single-payer state ballot initiatives over the past 25 years that could inform future efforts? The California vote happened only 3 months after the collapse of President Bill Clinton’s universal health care proposal. Many activists then asserted that if only Democrats had advanced single payer instead of Clinton’s wonkish contraption, reform would have prevailed. California provided a robust, timely, and failed test of that hypothesis. Similarly 22 years later, the Colorado initiative gave voters in that state a chance to endorse “real” reform above and beyond the incremental Affordable Care Act. Mission not accomplished. In each case, single-payer advocates could not make the case to convince voters that the program would be financially sound. 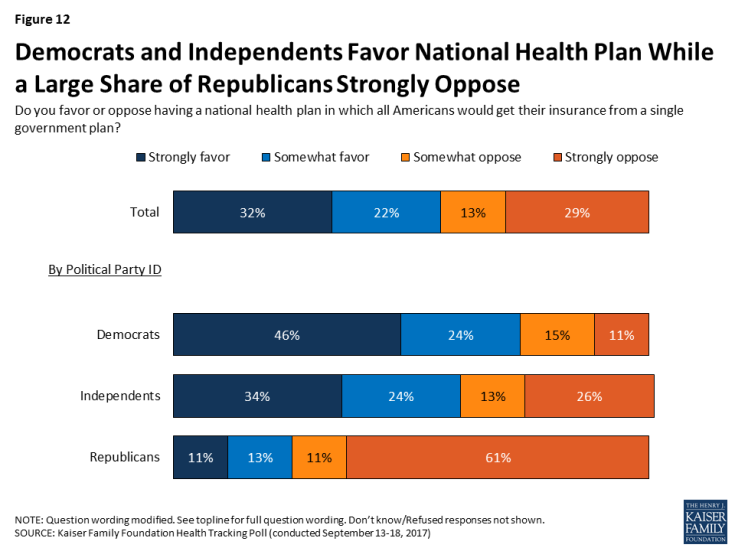 Ultimately, each attempt scared away each state’s bipartisan political and health care establishments (including leading hospital and physician associations). To the new generation of single-payer advocates, what have you learned from these precedents, and what do you know that advocates in these states did not? Question 2: What have we learned from Vermont’s failure to enact single-payer legislation between 2010 and 2014? The years 2010 and 2011 were heady for Vermont single-payer advocates. A new Democratic governor, Peter Shumlin, backed by solid Democratic majorities in the State Senate and House, made state enactment of single payer his highest legislative priority. An independent analysis made the plan, including financing, seem like a no-brainer. The legislature agreed, enacting a new law in 2011 to establish the Green Mountain Health Plan, which would implement the ACA in 2014 and then a single-payer system by 2017. The fly in the ointment? The legislature and governor delayed unveiling their financing plan, including new taxes, until 2014. Meanwhile, some things began to go wrong. State government’s ACA implementation, especially the health exchange website, was a disaster, undermining public confidence in their ability to manage the entire health care system. Also, Shumlin kept delaying release of a financing scheme because deeper analysis showed weaker financing. In the fall of 2014, Shumlin barely won reelection with a 47-46% margin against a Republican who made opposition to single payer his central campaign pledge. In late 2014, Shumlin threw in the towel, abandoning the project rather than trying to convince Democratic legislators to embrace estimated new income taxes up to 9.5% and new employer payroll taxes up to 11.5%. Final estimates showed that the new taxes could make the program work financially, though with zero margin for error. In the end, Shumlin’s call was political; he could not justify sending his party over a cliff on such a weak and risky bet. To the new generation of single-payer advocates, what have you learned from Vermont’s experience to inform a national campaign? Question 3: Because the Achilles’ heel of single payer is financing, how can this be presented and managed in a way that avoids political collapse? The new field of behavioral economics helps here. A core tenet is that people value hypothetical losses far more than hypothetical gains. If I promise Jane $100, she likely will believe it when she sees it. If I tell James that I’m going to take $100 from him, he’ll take me more seriously than Jane, and get his pitchfork ready the next time I come near him. This has happened in previous attempts at health reform. Presidents Harry Truman and Bill Clinton lost big-time because the opposition overwhelmed advocates and scared the uncommitted. Presidents Lyndon B. Johnson and Barack Obama won their reforms only after sharply limiting the benefits of their proposals to the elderly and to the residual uninsured population, respectively. Republicans lost their attempts at repealing the ACA in 2017 because now they were making the promises and Democrats scared the heck out of people. Single payer echoes the Truman and Clinton approaches of big system change for everyone, the opposite of the LBJ and Obama approaches. Even the unaffected heed scare stories of impending harm—witness the overwhelming opposition to the ACA in 2009-2010 by senior citizens who were only helped by the law. To the new generation of single-payer advocates, how will you avoid this trap? Question 4: How will payments to hospitals, physicians, and other medical providers be set to save money without alienating the medical establishment? I know the response—we’ll pay them Medicare rates. If it’s good enough for Medicare, it’s good enough for everyone. While this sounds good, it obliterates the essential structure of US health care financing today which is based on much larger payments from private payers, especially employer-provided health insurance plans. Attractive hospital and outpatient facilities as well as high salaries for physicians, nurses, and everyone else in medical care don’t come from Medicare or Medicaid rates. They come from private financing. Like it or not, single payer based on Medicare rates would trigger wrenching changes to US health care financing. Before that would happen, power sources across the system—hospitals, physicians, drug and device makers, insurers, and boundless others—would use every tool in their bountiful toolboxes to provoke a cataclysmic political fight, far beyond anything experienced in California, Oregon, or Colorado. It’s hard to imagine a time when so much money would be at stake. To the new generation of single-payer advocates, how can you pass single payer if most hospitals, physicians, and other providers are on the other side against you? An extraordinarily broad coalition of Americans joined together to oppose Republican ACA repeal-and-replace plans with impressive impact. Most of this coalition can unite today and find common ground to address and fix the ACA’s many flaws, to advance better coverage, and to up the ante on cost control and delivery system reform. Or, we can bet the house on single payer and risk replaying the catastrophic defeats in the Truman and Clinton eras. Count me as open to the conversation and deeply unconvinced. Rosenthal E. An American Sickness: How Healthcare Became Big Business and How You Can Take It Back .New York, NY: Penguin Press; 2017. Schneider EC, Sarnak DO, Squires D, Shah A, Doty MM. Mirror, Mirror 2017: International Comparisons Reflect Flaws and Opportunities for Better U.S. Health Care. New York, NY: Commonwealth Fund; 2017. http://www.commonwealthfund.org/interactives/2017/july/mirror-mirror/. Accessed September 18, 2017.